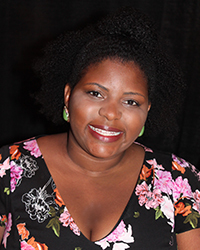 Collaborative lady and founder of Southern Vines & Garden Market, Andrea Collins is a food critic wannabe, lover of all things creative, mother of one cupcake-eating little girl and energetic Labrador retriever, and wife to a handsome husband that keeps her in stiches. 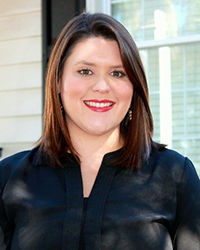 Andrea and her family moved from Georgia’s Azalea City to Georgia’s Rose City in April of 2017. Her business talents started at a young age and bloomed (pun intended) a bit more while enrolled at Valdosta State University. After receiving a Bachelor of Fine Arts degree in Communication (public relations) and Masters in Public Administration, Andrea made a few twists working in various industries. Azalea City Florist, Easter Seals Southern Georgia (not-for-profit organization), Comcast Spotlight (advertising company), and Southern Vines & Garden Market (floral business) introduced her to big ideas, plans and campaigns, consultative design and marketing services, business operations, community service, and most importantly, customers. With more than 15 years of expertise in marketing and public relations, Andrea is driven to translate shared concepts into action to maximize results for the common good of the people within the community. She pairs a broad range of creative leadership experience in brand strategy and development and B2B/B2C marketing, with a deep understanding of consumer behavior to create effective campaign solutions and entrepreneurial growth. Well before the path of her marketing career, Andrea turned her “therapeutic” floral design skills into a profitable, niche business. The marketing experience should have come first, however mistakes were necessary for growth. Her experience as a small business owner sparked the desire to help fellow entrepreneurs strive and thrive in the ever evolving and competitive marketplace. The stepping-stones in her career have shaped who she is and what she does for her community today. When not working, Andrea can be found wondering the outdoors, cutting blooms, enjoying yet another floral design project with her daughter, Cate. When time permits (rarely with a little one), she and her husband, Colby, find the joys of nature on fishing and hunting trips. She has a passion for all things old and still full of life; it’s never a surprise to find her on a scavenger hunt for antiques thinking up something fabulous to purchase for the interiors of her family’s new home. Christina Reneau is a self-taught graphic designer, lover of all things sweet (especially cupcakes), mother of one happy, smiley daughter and popcorn loving, fetch crazy Labrador retriever, and wife to a loving husband of 4 years. Christina has been in Thomasville since she was 5 years old after moving to the community with her family from Jacksonville, FL. 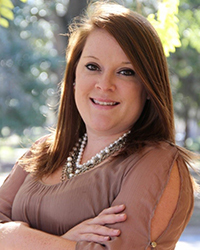 After receiving a Bachelor of Business Administration in Marketing from Valdosta State University, Christina accepted a position in the Marketing and Institutional Advancement Office at Southern Regional Technical College. With this positon, Christina found her true passion in graphic design. While juggling all things marketing at SRTC, Christina also coordinated the events and managed the scholarship program for the College’s Foundation. Christina believes leadership skills are vital to a community’s success and you can find her coordinating the Chamber’s annual Leadership Thomas program. Given her passion in graphic design and marketing, Christina partners closely with Chamber members to help promote their messages to the community. Her friends used to request for her to create their save the date invitations. Times have certainly changed and now she finds herself creating children’s birthday invitations along with dinner party invites. During her off time, Christina can be found by the water with family and friends or enjoying downtime with her beautiful daughter, Alaina and husband Heath. With a love of history, Christina also loves to plan a trip to anywhere old. Some of her favorites are the cities of Savannah, GA and St. Augustine, FL. Suzannah Heald is a fiery red head, lover of all things crafty, mother of one amazing little boy and wife to a handsome husband that keeps her on her toes. She was born and raised in Thomas County and attended Thomas County Central High School. She is currently enrolled at Southern Regional Technical College, nearing the end of her course work. Once completed, she will have a Degree in Business Management, Associate of Applied Science with a specialization in Small Business. Being a nurturer at heart, Suzannah feels called to help small business owners in all efforts that lead to their success. She is a jack of all trades and master at many things organizational. Yes, she is the task list master! When not working, Suzannah can be found outside and by the water with her precious family of three. Some of Suzannah’s favorite hobbies are horse back riding, photography and being creative with new projects. 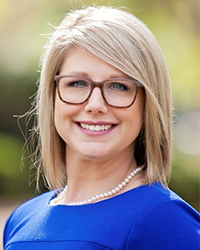 A Bainbridge native, Carolynn has a Bachelor’s Degree in Political Science from Georgia Southern University and will pursue her Master's Degree in Public Administration in 2019. She has a passion for giving back and spent most of her undergrad years volunteering at local non-profit organizations. In her off time, Carolynn enjoys binge watching Netflix, baking and gardening.